In the early 1950’s, Anaheim, California was a sleepy town that was barely a blip on the world’s radar. An agricultural town, its population was less than 1,000. City leadership saw that big changes were coming to Southern California and it decided it wanted to get in on the new postwar gold rush that was brewing. It had decided to begin courting big businesses and sought industrial and manufacturing companies. Anaheim knew that it would need a mix of zones to attract the manufacturing businesses it was seeking, so it actually had begun laying out the future city zones. Several large parcels in the vicinity of Harbor Blvd. and Katella Ave. were seen as being ideal for housing tracts where future workers could live. That plan would change in 1953. Instead of housing tracts, a visionary man would see that land as being an ideal spot to locate an entirely different enterprise- a Magic Kingdom. At first, the city of Anaheim wasn’t sure what to think about this ‘Magic Kingdom’. Was it a fly by night carnival? Some kind of fair? Luckily, Walt Disney was able to convince them that DISNEYLAND would be a jewel that would bring millions from around the world to the former orange groves of Anaheim. Imagine you’re being honored with an award that was voted on by your colleagues. An exciting honor, right? What if nobody bothered to invite you to the meeting where the award was being handed out and the manager who oversaw the team who voted on it was seemingly not enthusiastic about handing out the ‘honor’ in the first place? Obviously the organization would have been better off not doing anything; as a matter of fact, they most likely made things worse. Believe it or not, this anecdote actually happened and is an example of the pitfalls of doing something just because it is expected and not because the organization genuinely wants to do it. Recognition programs can vary wildly depending on the organization and its budget. Some places offer huge bonuses or exciting rewards while others offer items of little or no value. Even the small awards can mean a lot if they are offered with GENUINE appreciation. Awards offered solely because they are expected can be more demoralizing than not offering anything at all. Great leaders know that a quick note of genuine appreciation can do more to make someone’s day than a valuable award presented with little enthusiasm just because the Human Resources department mandated it. Walt Disney earned such loyalty from his employees by genuinely appreciating their efforts and talent. If Mr. Disney handed you an award, gift or compliment, you knew he was sincere and genuinely appreciative. Not all of us can have the same impact on the world as Mr. Disney, but by genuinely appreciating the hard work that happens around us, we can try to have a positive impact on our respective organizations. When the newest land at DISNEYLAND opened in 1993, Harry Anderson, fresh off his legendary stint as Judge Harry Stone officiated at the grand opening, “swearing in” the honorary new residents of Toontown. 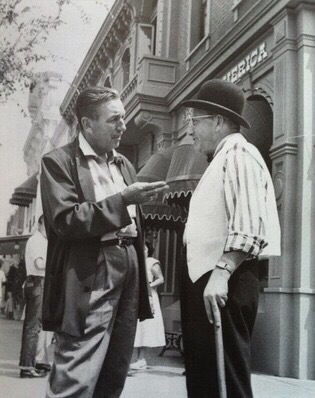 Mr. Anderson loved DISNEYLAND and had even hosted the park’s 35th anniversary television show just three years earlier. Harry Anderson passed away this week at age 65. Today only the Shooting Gallery in Frontierland remains open. The Adventureland Shooting Gallery became a Sunkist juice stand and the Main Street Shooting Gallery disappeared to become the stuff of legend. Walt Disney on Harbor Blvd. So what can Mr. Disney teach us about actually valuing professional development and searching for hidden talents throughout the organization? Just take a look around his Magic Kingdom of DISNEYLAND. Mr. Disney learned early on that the so-called experts were more inclined to summarily dismiss his ideas as impossible without really thinking about them. 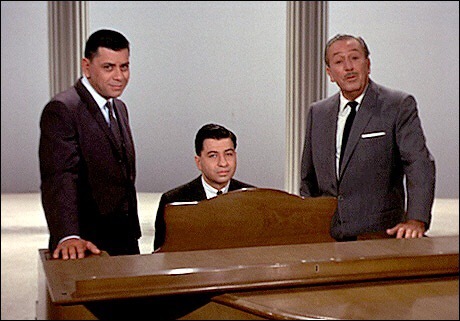 An outside architect had told Mr. Disney that the Matterhorn Bobsleds and Submarine Voyage were impossible to build. Not one to easily take no for an answer, Mr. Disney assigned some of the early model building and design to employees that hadn’t previously done such work. One such employee- Imagineer Harriet Burns- later recalled how much she had learned on the project. Not only did she learn the ins and outs of model building and scaling, she also learned that she could actually accomplish such tasks. By identifying her hidden talents and showing confidence in her skills, Walt Disney made an already top notch employee even more motivated to succeed. Not only did he give her time to learn something new, he gave her a chance to apply those new skills to a real world project that is still enjoyed today. The song that he wrote is still heard around the world in the various Pirates of the Caribbean attractions at Disney parks. By identifying hidden talents and finding practical uses for them, Mr. Disney built a loyal, talented and successful team that made the impossible possible. His staff accomplished great things because he believed they could do it and he encouraged them to step outside of their comfort zones. So many organizations could learn a thing or two from Walt Disney’s leadership. While it is very easy to talk about valuing professional development and nurturing hidden talents, it often seems to be a challenge for an organization to actually value these things in practice. Those that do can often accomplish great things and maintain a loyal, efficient workforce. Walt Disney truly valued these attributes and his team literally built mountains.